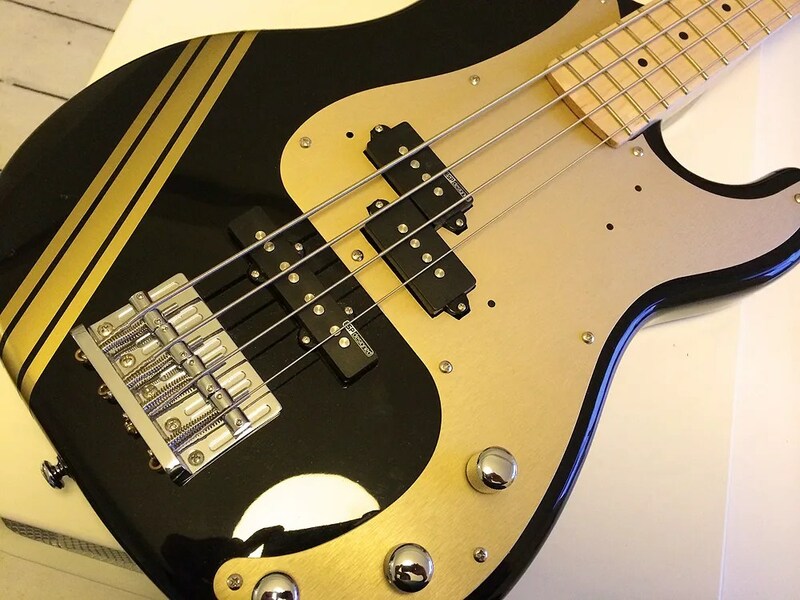 She then underwent her first transformation by way of a new anodised Fender pickguard for the Precision bass which I bought on eBay, and her final (probably) makeover with gold racing stripes, as well as Schaller strap locks. 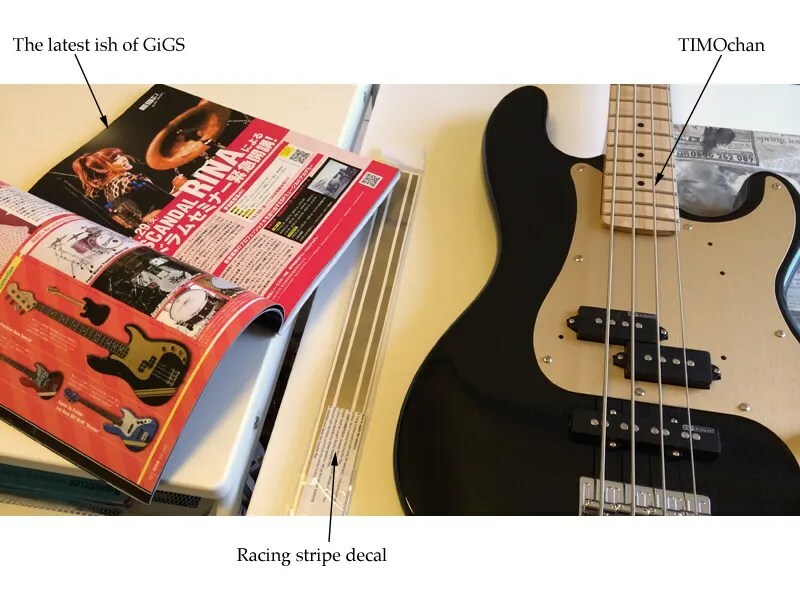 The racing stripes decal was found on eBay from a seller called factoryofvinyl in Mexico. I have to say I was a bit apprehensive to buy it, but it was only USD5. What can go wrong, eh. After choosing the gold coloured one (there is a selection to choose from), it finally arrived about 3 weeks later. 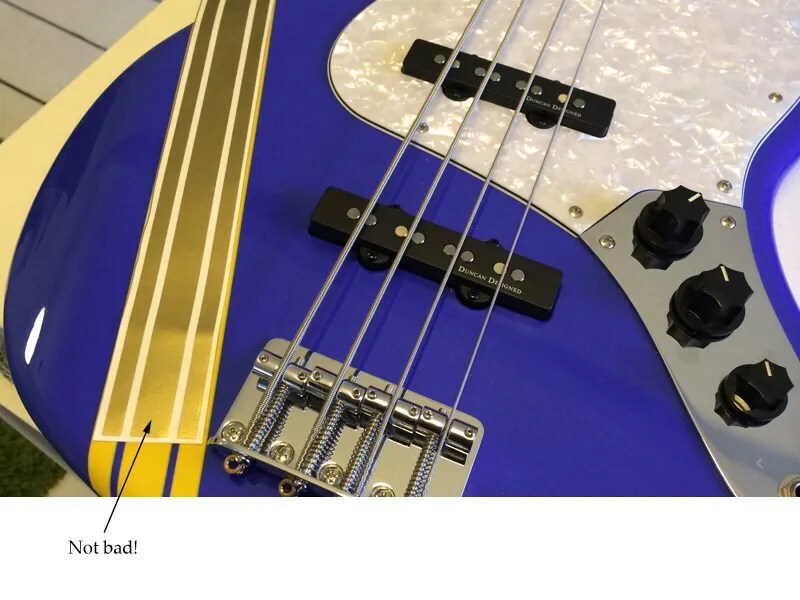 Using a photo of TIMO’s Precision bass as a guide to get the angle right, I was good to go. 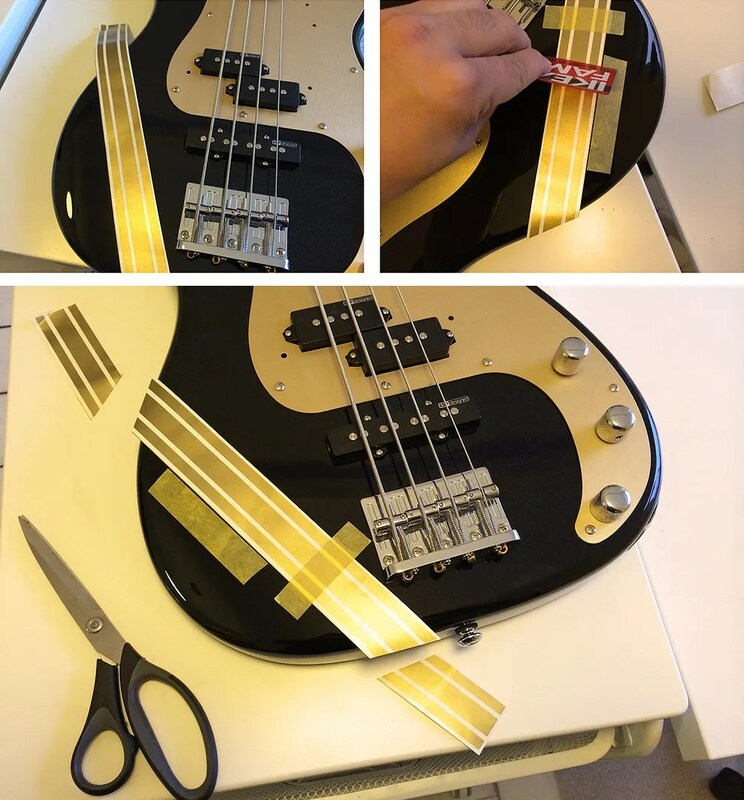 Once half the decal is stuck onto the bass, I removed the masking tape and the rest of the backing paper. 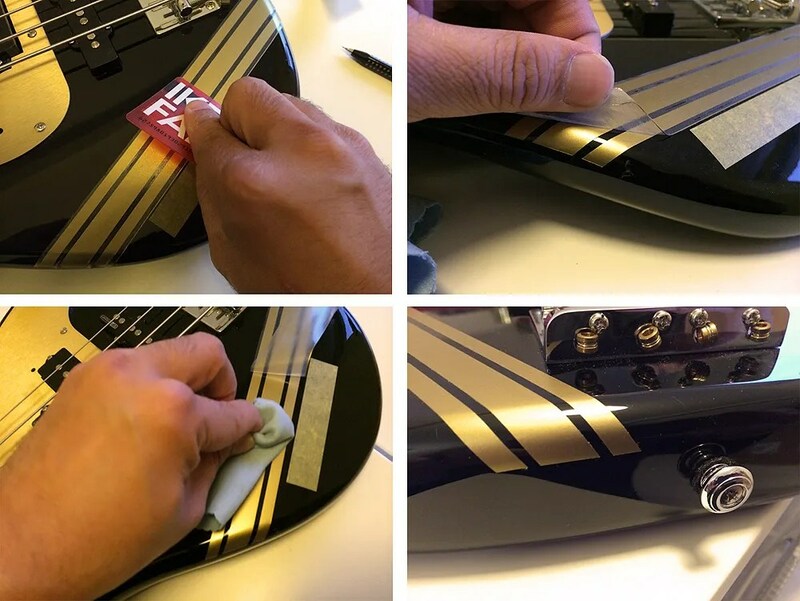 I then gently remove the clear film and used a cloth to really ensure the decal is stuck on the bass. Check out the end of the stripes, just like how it is on BLUETUS. And here is TIMO-chan with her new racing stripes. I am well chuffed with the results! 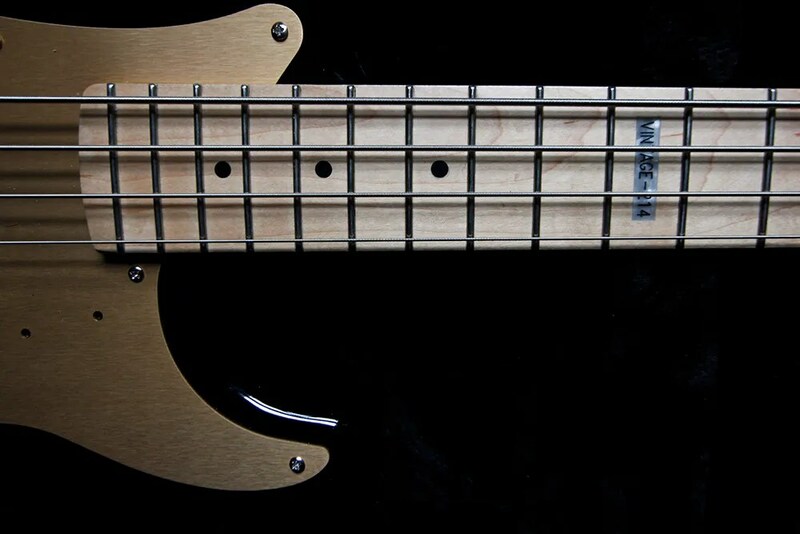 TIMO-chan has an alder body and a two-piece bolt-on maple neck. She already sounded ace out of the box, and even better after my brother gave her a simple set up. I was told that her neck was a bit bowed but she was fixed as best as he could (I haven’t had her done up by Steve yet) as I didn’t have a large enough Allen wrench for her truss rod. The neck otherwise felt fine, and the XJ frets didn’t need their edges filing. Kudos to the QC. 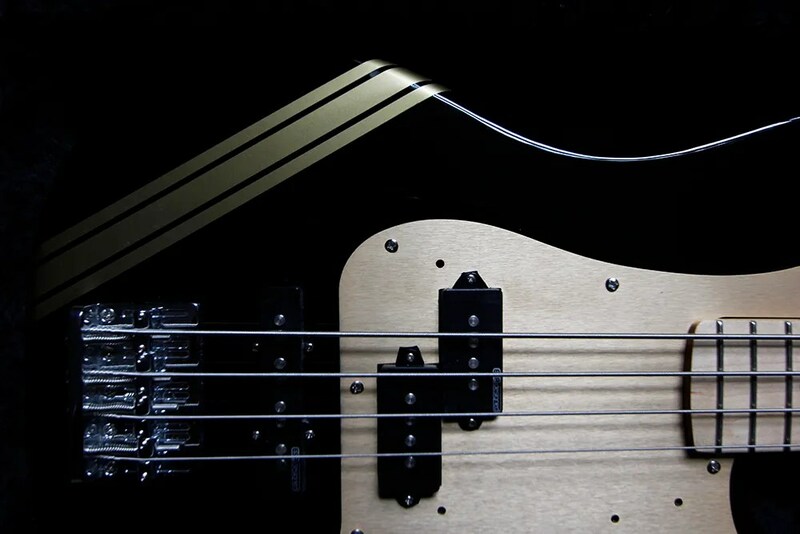 I am no bass player but slapping the strings seemed, umm… easy. 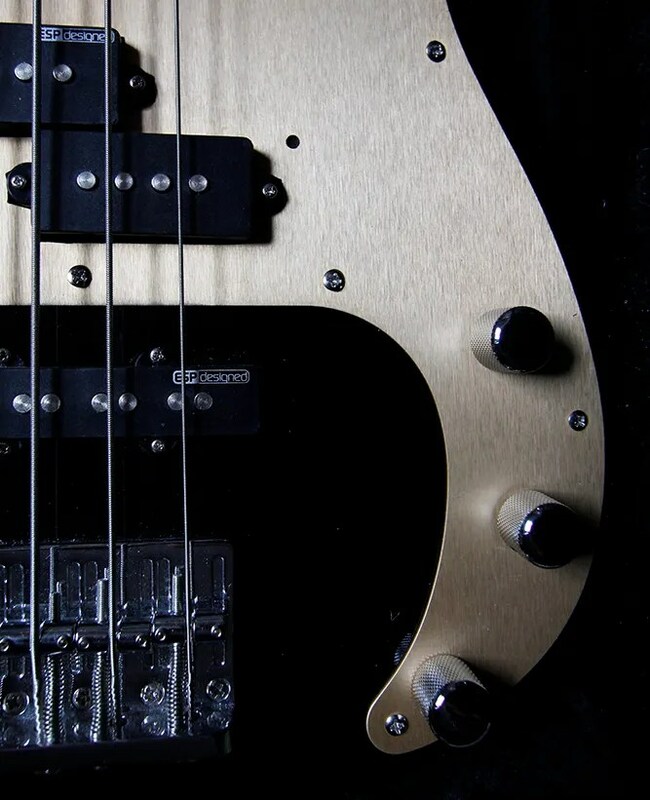 The pup config was similar to a Deluxe Precision, comprising a J-styled bridge pup and a central P-styled pup, both of them of the OEM variety designed by ESP (the LDJ and LDP, respectively). Plugged into my Behringer bass head through an 18″ speaker, her tone ranges from a low growl to quiet(ish) sweetness. The bridge was robust and it didn’t matter that this wasn’t a string-thru body. As for the electronics config, the knobs are pretty much vol/vol/tone. 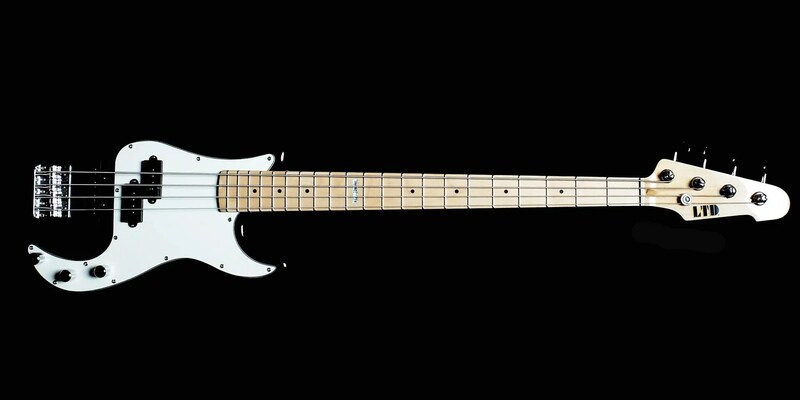 As for any future mods, I may consider getting Fender Noiseless bridge J-styled pup for her. As I am already happy with her bridge, I won’t be on the lookout for a BadAss any time soon, if at all.